Children are smoking in two of my favorite images from our digital collections. 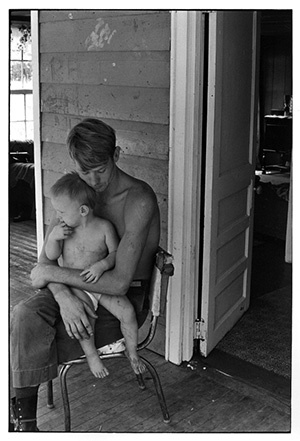 One of them comes from the eleven days in 1964 that William Gedney spent with the Cornett family in Eastern Kentucky. A boy, crusted in dirt, clutching a bent-up Prince Albert can, draws on a cigarette. It’s a miniature of mawkish masculinity that echoes and lightly mocks the numerous shots Gedney took of the Cornett men, often shirtless and sitting on or standing around cars, smoking. At some point in the now-distant past, while developing and testing our digital collections platform, I stumbled on “smoking dirt boy” as a phrase to use in testing for cases when a search returns only a single result. We kind of adopted him as an unofficial mascot of the digital collections program. He was a mini-meme, one we used within our team to draw chuckles, and added into conference presentations to get some laughs. Everyone loves smoking dirt boy. It was probably 3-4 years ago that I stopped using the image to elicit guffaws, and started to interrogate my own attitude toward it. 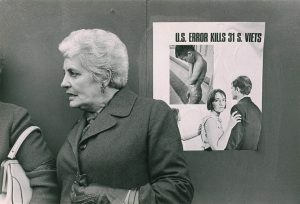 It’s not one of Gedney’s most powerful photographs, but it provokes a response, and I had become wary of that response. 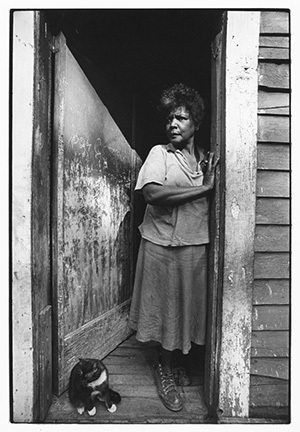 There’s a very complicated history of photography and American poverty that informs it. Screen shot from a genealogy site discussion forum, regarding the Cornett family and William Gedney’s involvement with them. While preparing this post, I did some research into the Cornett family, and came across the item from a discussion thread on a genealogy site, shown here in a screen cap. 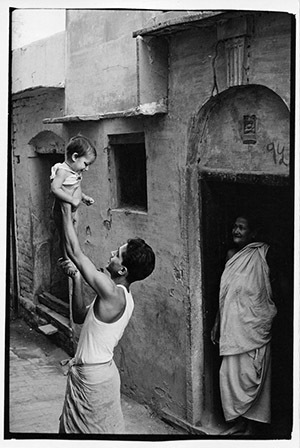 “My Mother would not let anyone photograph our family,” it reads. “We were all poor, most of us were clean, the Cornetts were another story.” It captures the attitudes that intertwine in that complicated history. The resentment toward the camera’s cold eye on Appalachia is apparent, as is the disdain for the family that implicitly wasn’t “clean,” and let the photographer shoot. These attitudes came to bear in an incident just this last spring, in which a group in West Virginia confronted traveling photographers whom they claimed photographed children without permission. 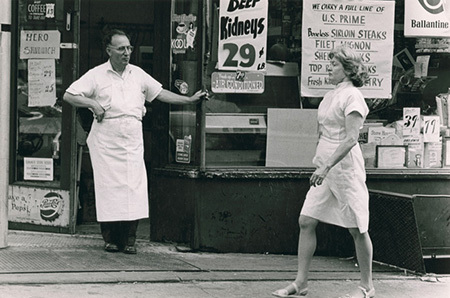 Gedney’s photographs have taken on a life as a digital collection since they were published on the Duke University Libraries’ web site in 1999. It has become a high-use collection for the Rubenstein Library; that use has driven a recent project we have undertaken in the library to re-process the collection and digitize the entire corpus of finished prints, proof prints, and contact sheets. We expect the work to take more than a year and produce more than 20,000 images (compared to the roughly 5000 available now), but when it’s complete, it should add whole new dimensions to the understanding of Gedney’s work. Another collection given life by its digitization is the Sidney Gamble Photographs. The nitrate negatives are so flammable that the library must store them off site, making access impossible without some form of reproduction. Digitization has made it possible for anyone in the world to experience Gamble’s remarkable documentation of China in the early 20th Century. Since its digitization, this collection has been the subject of a traveling exhibit, and will be featured in the Photography Gallery of the Rubenstein Library’s new space when it opens in August. 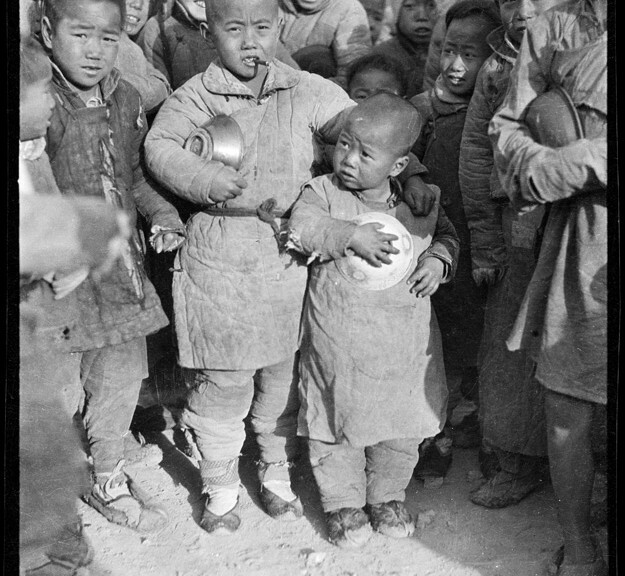 The photograph of the two boys in the congee distribution line is another favorite of mine. Again, a child is seen smoking in a context that speaks of poverty. There’s plenty to read in the picture, including the expressions on the faces of the different boys, and the way they press their bowls to their chests. But there are two details that make this image rich with implicit narrative – the cigarette in the taller boy’s mouth, and the protective way he drapes his arm over the shorter one. They have similar, close-cropped haircuts, which are also different from the other boys, suggesting they came from the same place. It’s an immediate assumption that the boys are brothers, and the older one has taken on the care and protection of the younger. Still, I don’t know the full story, and exploring my assumptions about the congee line boys might lead me to ask probing questions about my own attitudes and “visual definition” of the world. This process is one of the aspects of working with images that makes my work rewarding. Smoking dirt boy and the congee line boys are always there to teach me more. The era in which libraries have digitized their collections and published them on the Internet is less than two decades old. 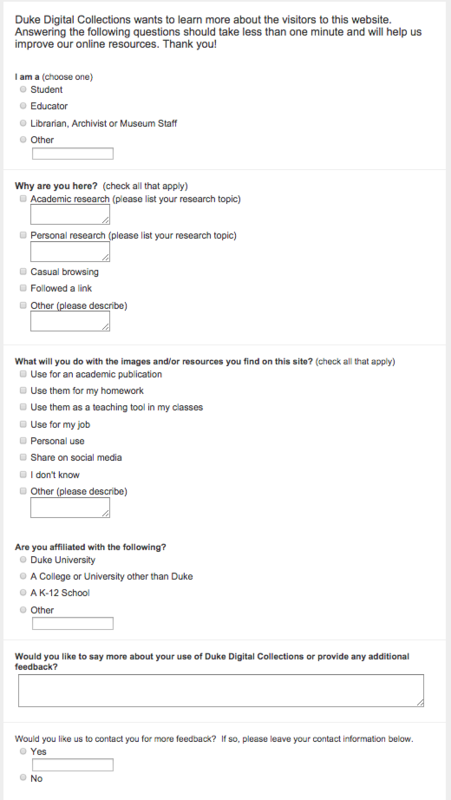 As an observer and participant during this time, I’ve seen some great projects come online. For me, one stands out for its impact and importance – the Farm Security Administration/Office of War Information Black-and-White Negatives, which is Library of Congress’ collection of 175,000 photographs taken by employees of the US government in the 1930s and 40s. The FSA photographers produced some of the most iconic images of the past century. 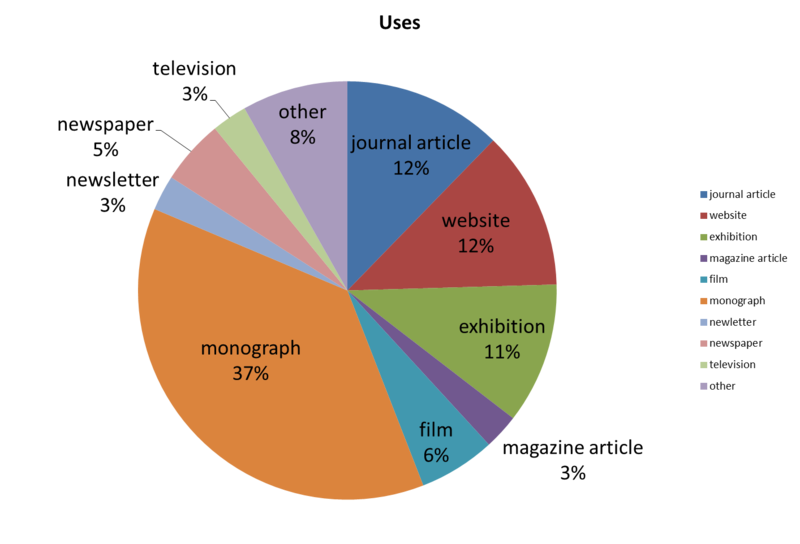 In the decades following the program, they became known via those who journeyed to D.C. to select, reproduce, and publish in monographs, or display in exhibits. But the entire collection, funded by the federal government, was as public as public domain gets. 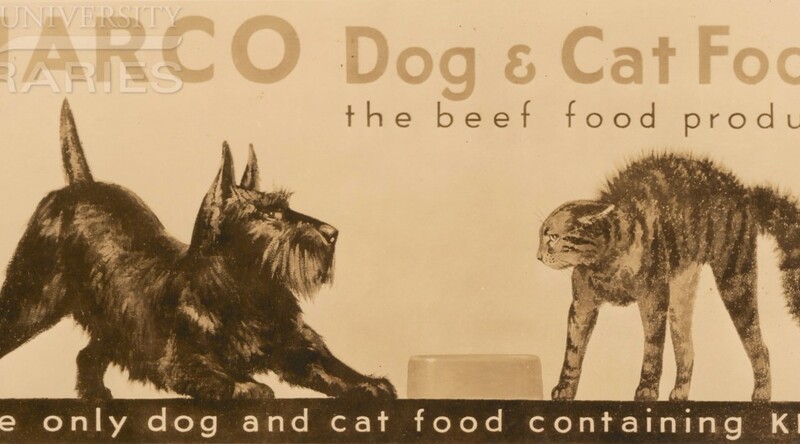 When the LoC took on the digitization of the collection, it became available in mass. All those years, it had been waiting for the Internet. 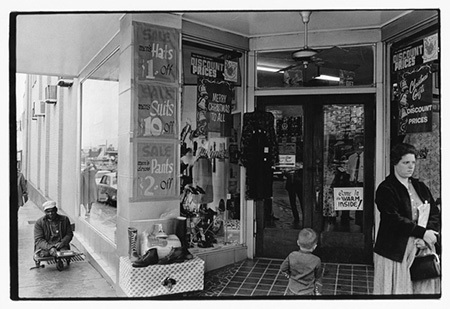 “Shopping and visiting on main street of Pittsboro, North Carolina. Saturday afternoon.” Photo by Dorothea Lange. A few blocks from the author’s home. The FSA photographers covered the US. This wonderful site built by a team from Yale can help you determine whether they passed through your hometown. 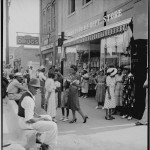 Between 1939 and 1940, Dorothea Lange, Marion Post Wolcott, and Jack Delano traveled through the town and the county where I live, and some 73 of their photos are now online. I’ve studied them, and also witnessed the wonderment of my friends and neighbors when they happen upon the pictures. The director of the FSA program, Roy Stryker, was one of the visionaries of the Twentieth Century, but it took the digital collection to make the scope and reach of his vision apparent. 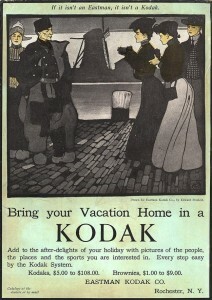 Photography has been an emphasis of our own digital collections program over the years. At the same time that the FSA traveled to rural Chatham County on their mission of “introducing America to Americans,” anonymous photographers employed by the RC Maxwell Company shot their outdoor advertising installations in places like Atlantic City, New Jersey and Richmond, Virginia. Maybe they were merely “introducing advertising to advertisers,” but I like to think of them as our own mini-Langes and mini-Wolcotts, freezing scenes that others cruised past in their Studebakers. 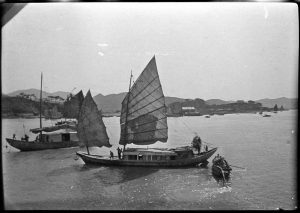 Certainly the most important traveling photographer we’ve published has been Sidney Gamble, an American who visited Asia, particularly China, on four occasions between 1908 and 1932. As with the FSA photos, I’ve spent time studying the scenes of places known to me. I’ve never been to China or Siberia, but I did live in Japan for a while some years ago, and come back to photos of a few places I visited – or maybe didn’t – while I was there. 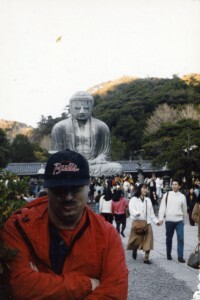 The first place is the Great Buddha at Kamakura. 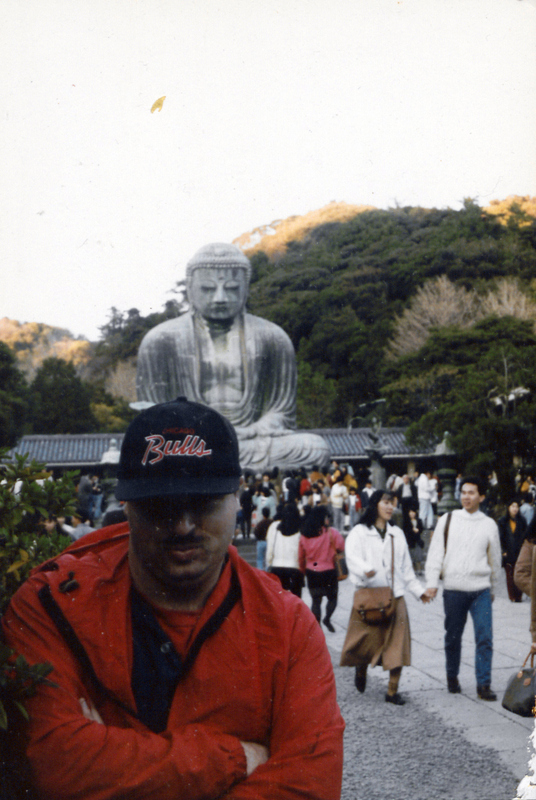 It’s a popular tourist site south of Tokyo; I visited with some friends in 1990. 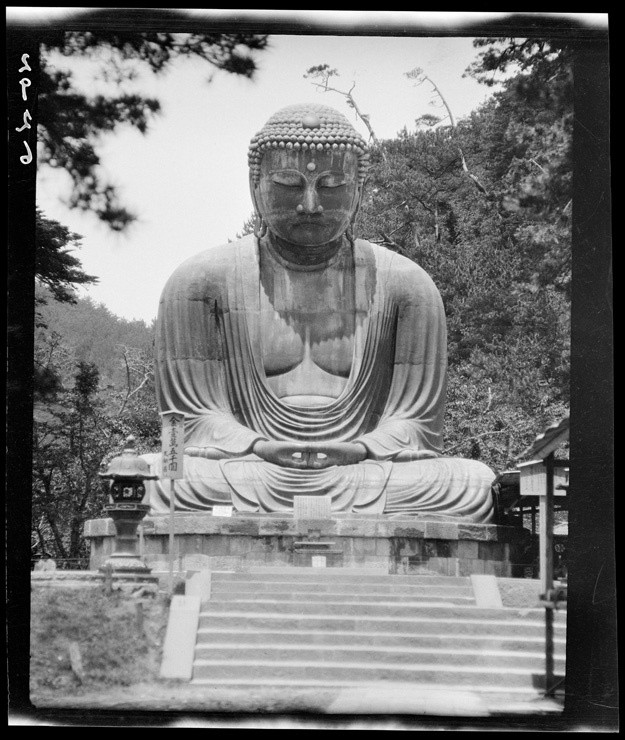 Our collection has four photographs by Gamble of the Daibutsu. I don’t find anything particular of interest in Gamble’s shots, just the unmistakable calm and grandeur of the same scene I saw 60+ years later. 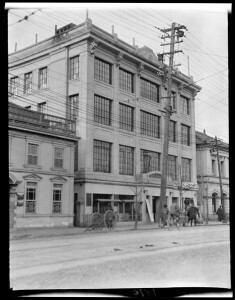 More intriguing for me, however, is the photo that Gamble took of the YMCA* in Yokohama, probably in 1917. For a while during my stay in Japan, I lived a few train stops from Yokohama, and got involved in a weekly game of pickup basketball at the Y there. I don’t remember much about the exterior of the building, but I recall the interior as somewhat funky, with lots of polished wood and a sweet wooden court. It was very distinctive for Tokyo and environs – a city where most of the architecture is best described as transient and flimsy, designed to have minimum impact when flattened by massive forces like earthquakes or bombers. I’ve always wondered if the building in Gamble’s photo was the same that I visited. * According to his biography on Wikipedia, Gamble was very active in the YMCA both at home and in his travels. 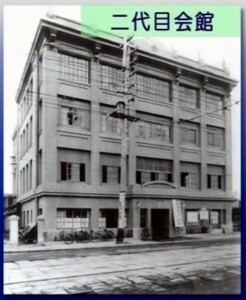 YMCA, Yokohama — 横滨的基督教青年会. Taken by Sidney Gamble, possibly 1917. So I began to construct a response to this question based entirely on my own fading memories, some superficial research, and a fractional comprehension of a series of youtube videos on the history of the YMCA in Yokohama. To begin with, a screenshot of Google street view of the Yokohama YMCA in 2011 shows a building quite different from the original. 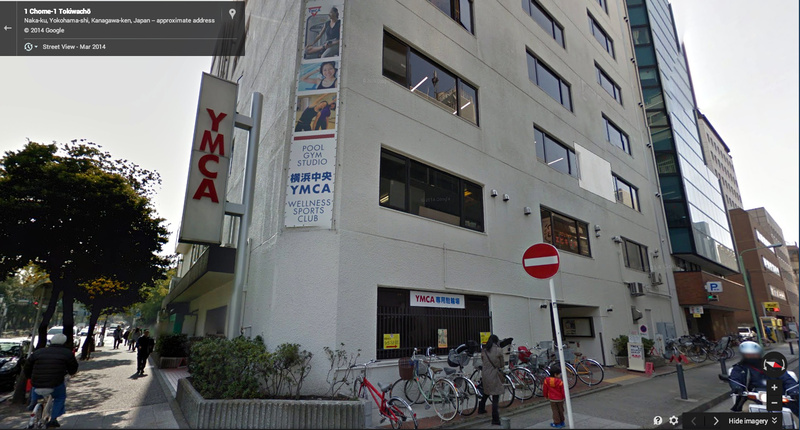 Google street view of the YMCA in Yokohama, 2011. The youtube video includes a photograph of a building, clearly the same as the one in Gamble’s photograph, that was built in 1884. 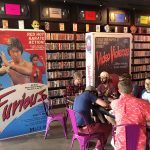 There are shots of people playing basketball and table tennis, and the few details of the interior look a lot like the place I remember. Could it be the same? 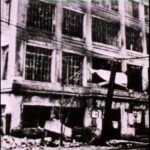 The YMCA building in Yokohama, showing damage from the Great Kanto Earthquake of 1923. 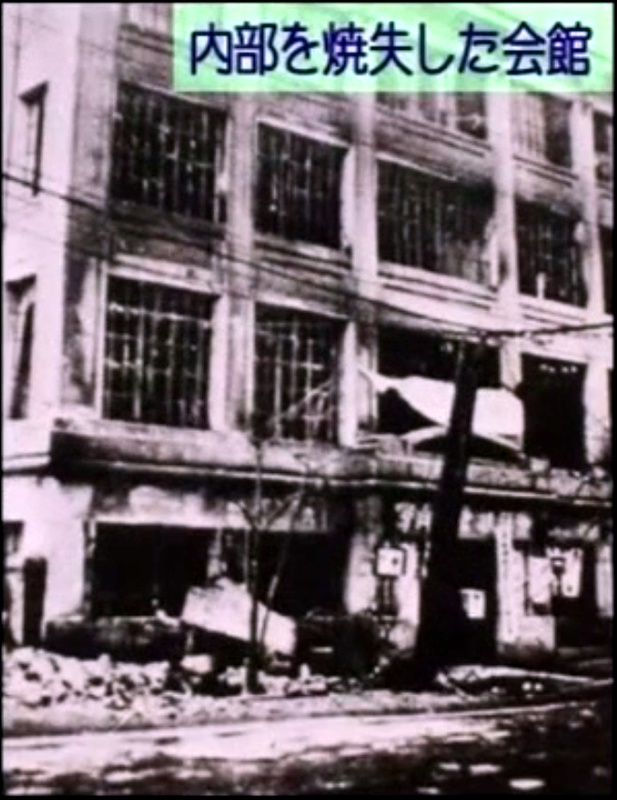 But then we see the building damaged from the Great Kanto Earthquake of 1923. That the structure was standing at all would have been remarkable. You can easily search and find images of the astonishing devastation of that event, but I’ll let these harrowing words from a correspondent of The Atlantic convey the scale of it. Yokohama, the city of almost half a million souls, had become a vast plain of fire, of red, devouring sheets of flame which played and flickered. Here and there a remnant of a building, a few shattered walls, stood up like rocks above the expanse of flame, unrecognizable. There seemed to be nothing left to burn. It was as if the very earth were now burning. Henry W. Kinney, “Earthquake Days.”The Atlantic, January 1, 1924. According to my understanding of the video, the YMCA moved into another building in 1926. Based on the photos of the interior, my guess is that it was the same building where I visited in the early 1990s. The shots of basketball and table tennis from earlier might have been taken inside this building, even if the members of the Y engaged in those activities in the original. 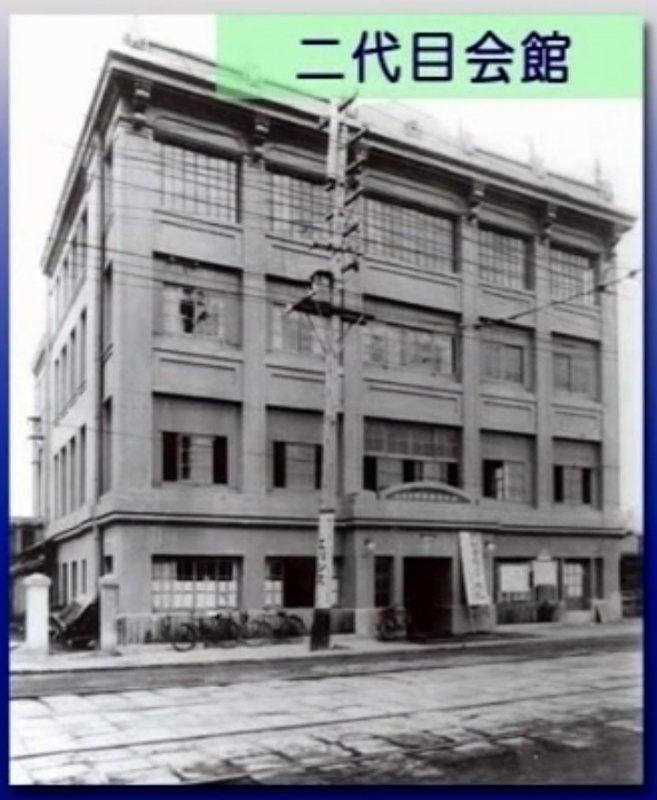 Still, I couldn’t help but ask – would the Japanese have played basketball in the original building, between the game’s invention in 1891 and the earthquake in 1923? It seemed anachronistic to me, until I looked into it a little further. We’ve all heard that the inventor of basketball, James Naismith, was on the faculty at Springfield College in Massachusetts, but the name of the place has changed since 1891, when it was known as the YMCA International Training School . ** The 18 men who played in the first game became known in basketball lore as the First Team. Some of them served as apostles for the game, spreading it around the world under the banner of the YMCA. One of them, a man named Genzabaro Ishikawa, took it to Japan. ** The organization proudly claims the game as its own invention. It’s not hard to imagine Ishikawa making a beeline from the ship when it docked at Yokohama to the YMCA. If so, it makes the building that Gamble shot one of the sanctified sites of the sport, like many shrines since ruined but replaced. Sure it was impressive to gaze up at a Giant Buddha cast in bronze some 800 years prior, but what I really like to think about is how that sweet court I played on in Yokohama bears a direct line of descent from the origins of the game. 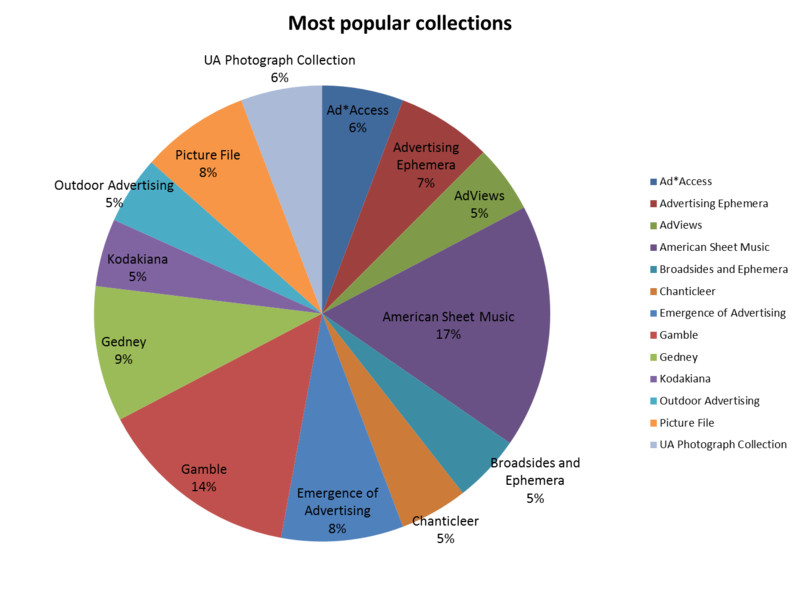 I started working on the metadata of Sidney D. Gamble photographs in January 2008 on a spreadsheet with no matching images. The nitrate negatives from the collection had just been digitized and resided in a different location. I was, however still amazed by the richness of the content as I tried very hard to figure out the locations of each picture, half of them were so challenging that I must have guessed wrong for most of them in my struggle to meet the project deadline. It was after the digital collection was published that I started to study more thoroughly these images of Chinese life more than 100 years ago. And they have since then continued to amaze me as I understand more of their content and context with the various projects I’ve done; and to puzzle me as I dig deeper into their historical backgrounds. I’ve imagined China in those times in readings, enhanced by films early and recent, yet Gamble’s photographs help me to get closer to what life really looked like and how similar or different things appeared. 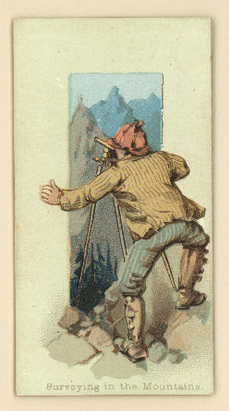 Recently the hand-colored lantern slides in the collection have made me feel even more so. 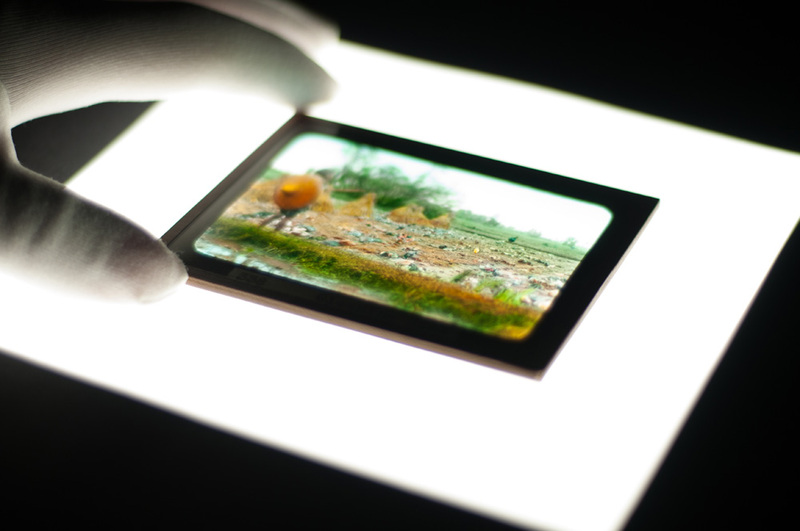 Lantern slides are often hand-colored glass slides, commonly used in the first half of the twentieth century to project photographs or illustrations onto walls for better visualization. We are yet to find out whether Gamble colored these slides himself or instructed the work by giving details of the description of the objects. 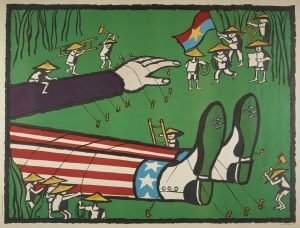 I find the colors in these images strikingly true, suggesting that they were done by someone familiar with the scene or the culture. Whether it is a remote hillside village in a minority region in Sichuan as shown above or the famous Temple of Heaven in Beijing below, the color versions are vivid and lively as if they were taken by a recent visitor. Gamble used these color slides in his talks introducing China to his countrymen. 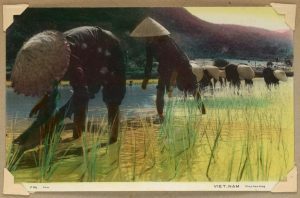 He included both images of Chinese scenery and those of Chinese people and their lives. The large amount of images of Chinese life in the collection is a record of his social survey work in China, the earliest of its kind ever done in China; as well as a reflection of his curiosity and sympathy in Chinese people and their culture. Funeral is one of Gamble’s favorite subjects, and I have no clue whether green was the color for people’s clothes working at funerals as I see several images with men dressed in green doing all sort of jobs, such as this man carrying the umbrella, the color is not offensive but needs to be studied. The Lama Temple, or Yonghegong, is an imperial Tibetan Buddhist Temple. Every year in early March, masked lamas performed their annual “devil dance”, a ritual to ward off bad spirits and disasters on a Monday. I learned about this performance through Gamble’s photographs and the color images have simply added more life. A search online for images taken today brought back photos that look just similar. 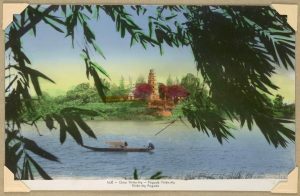 There are nearly 600 colored slides in the collection, one can imagine the reaction of the audience when Gamble projected them on the wall in his talk about the mysterious China in the Far East. With the help of a capable intern, I was able to create an inventory last fall, matching most of them with existing black and white one in the collection. A project was proposed and approved quickly to digitize these lantern slides. 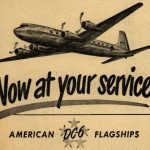 The project was done quickly and a blog post by one of our digitization experts provided some interesting details. In June this year, selected color images will appear in the travelling exhibit that professor Guo-Juin Hong and I curated and started in Beijing last summer when it opens at Shanghai Archives’ museum on bund. I believe they will fascinate the Chinese audience today as much as they had when Gamble showed them to the American audience. 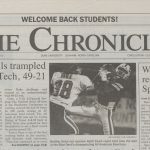 I have worked in the Digital Production Center since March of 2005 and I’ve seen a lot of digital collections published in my time here. I have seen so many images that sometimes it is difficult to say which collection is my favorite but the Sidney D. Gamble Photographs have always been near the top. 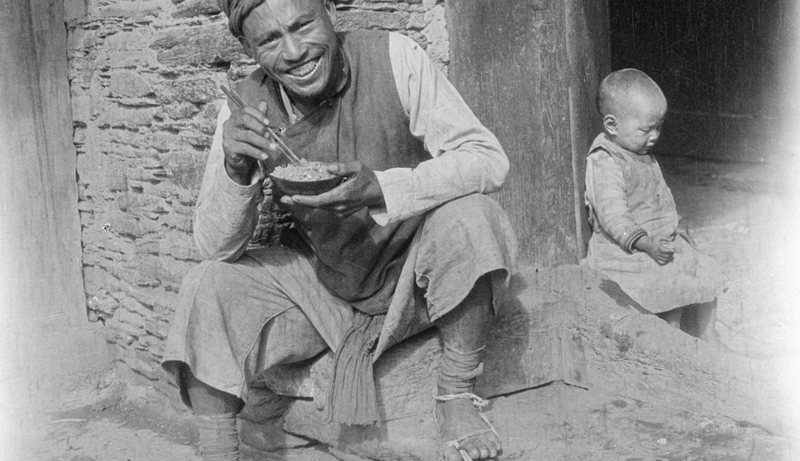 The Sidney D. Gamble Photographs are an amazing collection of black and white photographs of daily life in China taken between 1908 and 1932. These documentary style images of urban and rural life, public events, architecture, religious statuary, and the countryside really resonate with me for their unopposed moment in time feel. Recently the Digital Collections Implementation Team was tasked with digitizing a subset of lantern slides from this collection. What is a lantern slide you might ask? A lantern slide is a photographic transparency which is glass-mounted and often hand-colored for projection by a “magic lantern.” The magic lantern was the earliest form of slide projector which, in its earliest incarnation, used candles to project painted slides onto a wall or cloth screen. The projectionist was often hidden from the audience making it seem more magical. 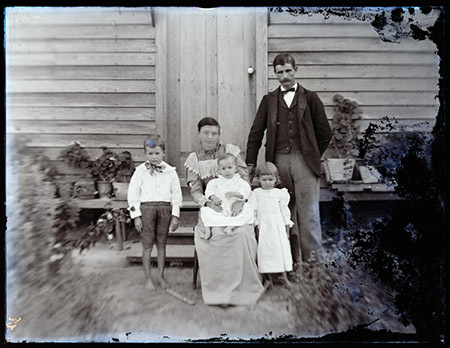 By the time the 1840s rolled around photographic processes had been developed by William and Frederick Langenheim that enabled a glass plate negative to be printed onto another glass plate by a contact method creating a positive. These positives were then painted in the same fashion that the earlier slides were painted (think Kodachrome). The magic lantern predates the school slate and the chalkboard for use in a classroom. After working with and enjoying the digitization of the nitrate negatives from the Sidney D. Gamble Photographs it has been icing on the cake to work with the lantern slides from the same collection so many years later. While the original black and white images resonate with me the lantern slides have added a whole new dimension to the experience. 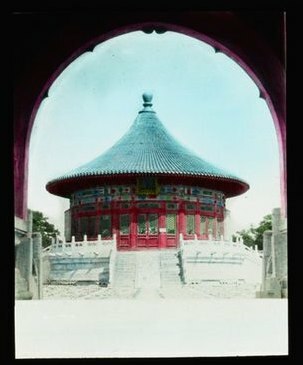 On one hand the black and white images lend a sense of history and times passed and on the other, the vivid colors of the lantern slides draw me into the scene as if it were the present. I am in awe of the amount of work and the variety of skill sets required to create a collection such as this. 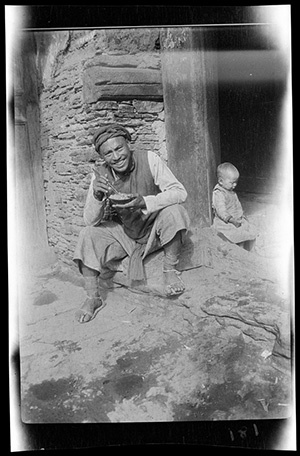 Sidney D. Gamble, an amateur photographer, to trek across China over 4 trips spanning 24 years, photographing and processing nitrate negatives in the field without a traditional darkroom, all the while taking notes and labeling the negatives. Then to come home and create the glass plate positives and hand color over 500 of them. 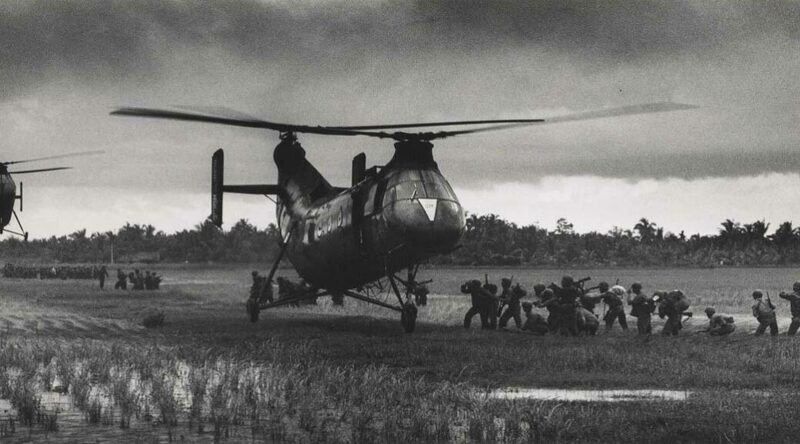 For being an “amateur photographer” Gamble’s images are striking. The type of camera he used takes skill and knowledge to create a reasonably correct exposure. Processing the film is technically challenging in a traditional darkroom and is made much more difficult in the field. Taking enough notes while shooting, processing and traveling so they make sense as a collection is a feat in itself. The transfer from negative film to positive glass plates on such a scale is a tedious and technical venture. Then to hand paint all of the slides takes additional skill and tools. All of this makes digitization of the material look like child’s play. An inventory of the hand-colored slides was created before digitization began. Any hand-colored slides with existing black and white negatives were identified so they can be displayed together online. A color-balanced light box was used to illuminate the lantern slides and a Phase One P65 Reprographic camera was used in conjunction with a precision Kaiser copy stand to capture them. All of the equipment used in the Digital Production Center is color-calibrated and profiled so consistent results can be achieved from capture to capture. 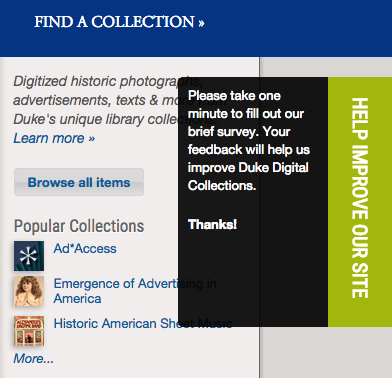 This removes the majority of the subjective decision making from the digitization process. Sidney D. Gamble had many variables to contend with to produce the lantern slides much like the Digital Collections Implementation Team deals with many variables when publishing a digital collection. From conservation of the physical material, digitization, metadata, interface design to the technology used to deliver the images online and the servers and network that connect everything to make it happen, there are plenty of variables. They are just different variables. Nowadays we photograph and share the minutia of our lives. When Sidney Gamble took his photographs he had to be much more deliberate. I appreciate his deliberateness as much as I appreciate all the people involved in publishing collections. I look forward to publication of the Sidney D. Gamble lantern slides in the near future and hope you will enjoy this collection as much as I have over the years.